In my contribution, manuscripts, scholarly text editions and card files will figure next to statues and poetry in public spaces. 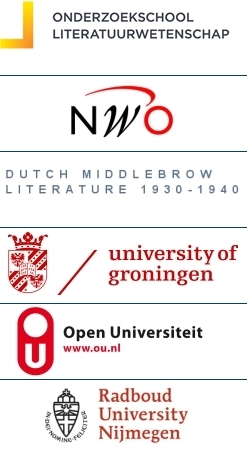 I will take the history of Dutch philology up until c. 1860 as a starting point to discuss some aspects of the materiality of texts. I will first focus on the scholarly practice of printing old manuscripts and critically editing earlier printed texts, which dates back to the invention of print and lasted for centuries to come. Editions of texts by Melis Stoke, Jacob van Maerlant and Joost van den Vondel, from 1591 onwards, will illustrate well-known processes of remediation, cultural appropriation and the construction of identity. But they will speak for a seemingly eternal scholarly quest as well: the quest for irrefutable proof of knowledge. A lasting materialistic epistemology in Dutch philology will be defined, according to which textual knowledge is only reliable when attested by proof from the material world. Subsequently, I will put the presumed reliability of material objects under discussion. Inspired by Bruno Latour’s a-modern network anthropology, I will explore the agency of texts as semi-objects, both in historical contexts such as scholarly libraries and in present-day public manifestations of poetry. The text in the reader is at the intersection of both perspectives in my talk. Anthony Grafton gives an interpretation of the early-modern university in Leiden as a historically unique place where manuscripts and books stood for traditional textual knowledge but were joined by material discoveries from the Americas. Grafton thus hints at the importance of a view on books as material things among others for understanding the modern organisation of knowledge. – Chapter 5 from Grafton, Anthony, April Shelford, and Nancy Siraisi. New Worlds, Ancient Texts. The Power of Tradition and the Shock of Discovery. Cambridge, MA / London: The Belknap Press of Harvard University Press, 1992. Print. 2) novelizations (as subfield of the adaptation industry) of the French New Wave. – N. Katherine Hayles and Jessica Pressman, “Introduction”, in N. Katherine Hayles and Jessica Pressman, eds, Comparative Textual Media (Minneapolis: Minnesota UP, 2013), i-xxxiii. – Nicolas Dulac and André Gaudreault, ” Heads or Tails: The Emergence of a New Cultural Series, from the Phenakisticope to the Cinematograph”, in In/visible Culture, 8 (2004). My presentation focuses on the figure of the fold and the palimpsest in relation to contemporary literature. First, I show how paper-based literature enfolds the digital precisely in its most ‘authentic’ (hand-written, hand-made, etc.) instances. Works like Anne Carson’s Nox, for instance, showcase the book as a specifically ‘analog’ medium of the literary, yet it effectively transforms the paper page into a screen: its scanned image. The same applies to monumental book works like Circular River by Richard Selesnick and Nicholas Kahn that document an imaginary past and adapt the literary to the screen. The figure of enfolding differs from the figure of repetition that makes up the palimpsest: textualities defined by processes of erasing and overwriting, and by layers of materiality, the one ghosting through the other. In this presentation, however, I connect the fold and the palimpsest to show how the notion of overwriting can be used not only as a textual but also as a critical concept to explore literature and identity in the digital age. Considering literary and philosophical texts, the question that we will pursue is this: when did the age of overwriting begin and how does the end of writing—as philosophers like Flusser imagined it—coalesce with the history of overwriting? In a 45 minute presentation, entitled ‘eating the book’ Simon Morris will present four of his experimental bookworks that challenge conventional methods of reading and writing. Morris has been called ‘philosophically irresponsible’, a ‘literary pervert,’ a ‘natural born rule-breaker’ and the UK’s Guardian national newspaper referred to him as an ‘inspired lunatic’. Today, literature is part of a media ecology characterized by digitalization and the cooperation between media industries. The virtualization of text and its transformation into “content” to be distributed across multiple media and platforms have radically transformed the book publishing industry, which is now collaborating with other industries such as film, clothing, games, toys, and tourism. As a consequence, in the twenty-first century, the print book is but one “output form of the … text” (Hayles 2013: 226). It is one of the things we do (the industry does) with literature. In this talk, I take a material cultural studies approach and consider the need to materialize literary theory from two different angles. First, I look at the implications, for literary study, of the fact that book publishers are subsumed by global media conglomerates, focusing especially on the question of what these (material) things mean for reading. Second, I inquire into the social things we do with literature, exploring the social agency of literary objects and materiality as a medium of sociality. – Simone Murray, “Making Words Go Further: Book Fairs, Screen Festivals and Writers’ Weeks as Engine Rooms of Adaptation,” in The Adaptation Industry: The Cultural Economy of Contemporary Literary Adaptation (London: Routledge, 2012), 76-102. In this talk I will discuss the long-standing relationship between play, games and literature, both historically as well as at the present moment. In particular I will be concerned with the ludicity of fictional narratives and the expansion of narrative and its pleasures into an ever-broadening palette of forms and platforms. And while investigating how new forms of media influence our interaction with narrative and with literature, I will also discuss how processes of reading and writing are being profoundly affected by various technological changes in the creation and dissemination of narrative. – Joyce Goggin, “A Body Hermeneutic? Corpus Simsi or Reading like a Sim,” in The Hand of the Interpreter: Essays on Meaning after Theory . Mitrano, G.F. and Eric Jarosinski Eds. Bern: Peter Lang, 2008: 205-223. – Joyce Goggin, “Neuromancer and the Question of Architectural Space,” in Creative Forum 24, no. 1-2, 2011: 27-43. – Joyce Goggin, “Corpus Simsi Or, Can a Body Tell a Story?,” in Public 34 , December, 2006: 110-114. Background information on the speakers can be found here. The program of Ravenstein 2014 can be consulted here.